PORTRAIT OF A SCOTTISH NOBLEMAN BY JOHN SCOUGALL. 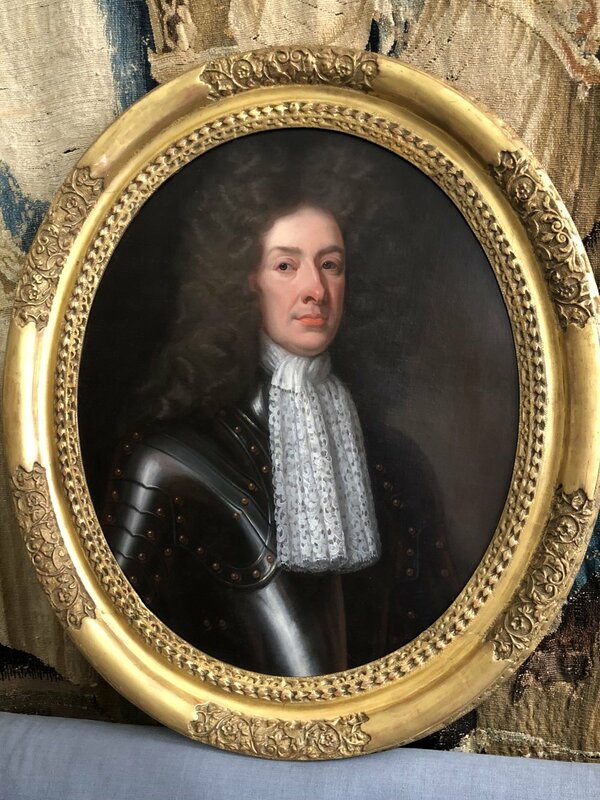 A fine and rare oval 17th century three quarter portrait of a Scottish nobleman in armour with a lace jabot by John Scougall. This atmospheric portrait is housed in a particularly fine carved and gilded frame from the 17th century and it os ready to hang and enjoy. The combination of gleaming armour and intricate lace in this portrait is completely thrilling. Collars ruffs and jabots were such a striking feature of sixteenth and seventeenth century dress, and each decade heralded a new fashion, allowing sitters to demonstrate their style and status. 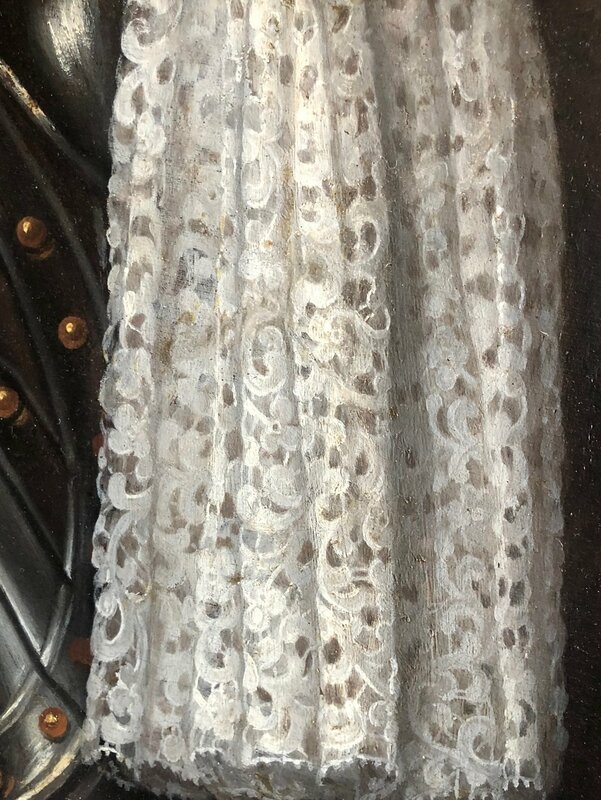 Here the intricate lace is the perfect way to frame the sitters face. Scougall was a Scottish portrait painter and member of a family of artists, including his father David and grandson George. The Scougall style follows in the path of Scotland's first great painter George Jamesone, but was historically was also said to bear resemblance to that of Sir Peter Lely. Rather like Lely's output, the Scougalls attributed work consists of formal portraits of the gentry of the time. During the period immediately after the Restoration of Charles II, Scougall dominated the Scottish portrait market, producing many portraits of members of the new Parliament.